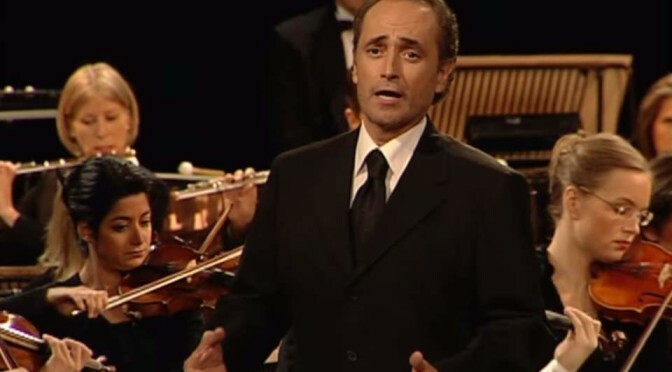 Spanish tenor José Carreras sings Quando sento que mi ami (When you tell me that you love me), a song written by the Catalan singer-songwriter Joan Manuel Serrat (b. 1943). 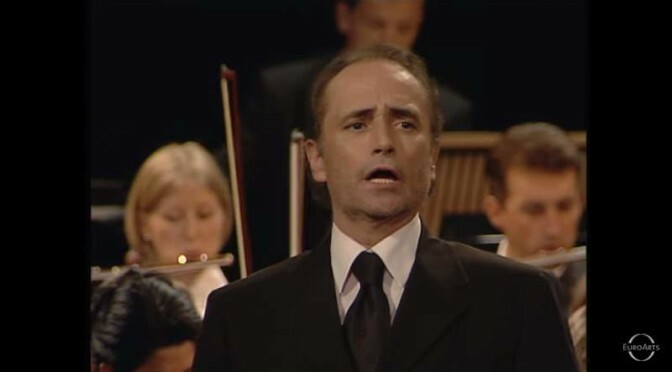 Carreras and the Vienna Symphony Orchestra perform at the Schönbrunn Palace in Vienna. 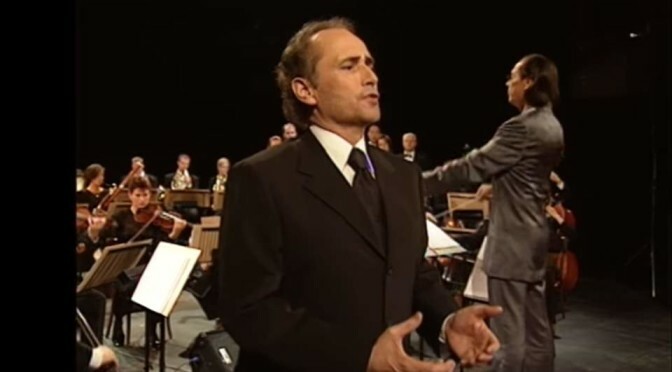 Published by the EuroArts channel. 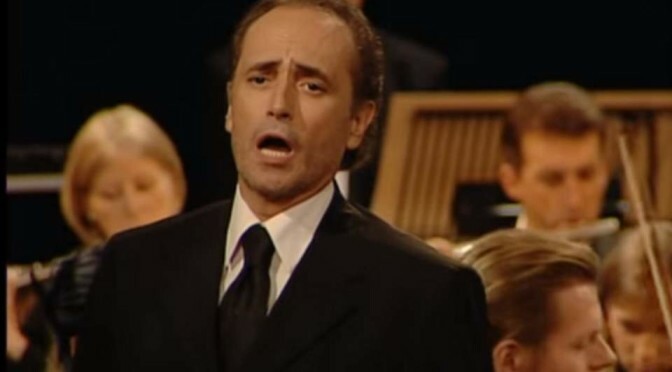 Accompanied by the Vienna Symphony Orchestra and the Crouch End Festival Chorus, the Spanish tenor José Carreras sings Greensleeves, a traditional English folk song and tune, over a ground either of the form called a romanesca or of its slight variant, the passamezzo antico. At the Schönbrunn Palace in Vienna.